Hand Soldering Services at BEST Inc. If you have a product that needs skilled hand soldering technicians or if you have an assembly project where there are not enough certified soldering technicians under your then BEST Inc. can provide those hand soldering resources. Other areas where we can provide some hand soldering services include when you need certified soldering technicians, when you need to put together prototypes requiring hand soldering services or when your existing workforce already is busy working on other projects then again BEST Inc. can provide those resources. BEST can take your hand soldering services project from drawings to completion. We can purchase the components and materials, we can provide the hand soldering assembly (and even test) services and provide for inspection to the IPC Class that you require. If your hand soldering services project requires some wire harness assemblies we can assemble them and solder the wires to connector terminals or the part of the assembly required per print. There are specialty ongoing low volume electronic assemblies requiring skilled hand soldering technicians. It may be an assembly requiring components to be custom formed and hand soldered services per print or there may be a specialty solder that is used to attach a sensor to an assembly. BEST technicians can read and interpret prints and hand solder PCBs when a new idea needs to be “vetted”. This allows you to test the idea and not worry about the quality of the assembly method and its impact on the product. 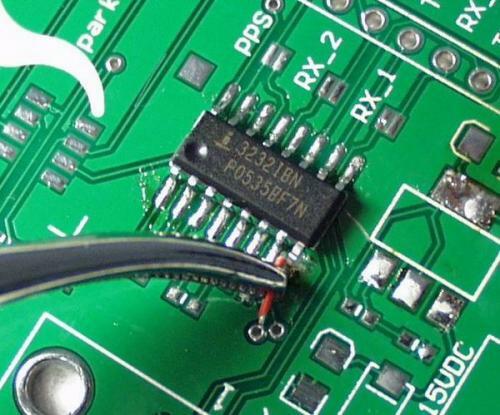 If you have overflow work and cannot find trained operators then BEST soldering technicians may be your best bet to “get you by” in these peak periods. Quality: Our employees are trained and certified to the latest IPC standards. They are highly skilled hand soldering technicians with many years of industry experience working on the most difficult and tiny parts. We are also ISO registered and can take on military projects as we are ITAR registered. Since we teach the industry standards and have been following and adding to them for over 20 years you can be assured that BEST Inc. will be the right outsourced hand soldering vendor for you.